Recently in the news is a decision by the United States Trademark Trial and Appeal Board concerning the registration of the trademark for the Washington Redskins football team. Longtime readers of this blog will recall that a prior post explained the difference between copyrights and trademarks. To summarize, a trademark is legal protection for a trade or business name used to identify goods and services in interstate commerce. To obtain such protection, one generally applies to the United States Patent and Trademark Office in Washington, D.C. The applicable procedure is one which can be done online. Our attorneys are familiar with the application process and can assist potential applicants. Once the application is submitted, an examiner at the United States Patent and Trademark Office will review the proposed trademark. They will check as to whether the proposed mark is “confusingly similar” to any prior registered mark, and may deny the application if it is. Other technical issues may also be raised by the trademark examiner. If the applicant has an issue with the decision of the trademark examiner, then the trademark examiner’s decision can be appealed to the United States Trademark Trial and Appeal Board (TTAB). Any such appeal would be heard by a panel of three Administrative Trademark Judges. Each Judge will then vote on the appeal, with the majority becoming the decision of the TTAB in a particular case. In the Washington Redskins appeal, five Native Americans sought to cancel the Redskins trademark pursuant to Section 14 of the Trademark Act of 1946. This section allows trademarks to be cancelled if the panel rules that the trademark “consists of or comprises immoral or scandalous matter; or matter which may disparage … persons, living or dead, institutions, beliefs, or national symbols, or bring them into contempt, or disrepute.” One of the purposes of this law is to disallow federal government protection for trademarks which may be offensive to a particular group of people. For example, another appeal from 2008 disallowed a proposed trademark “Heeb Media” as being offensive to Jews. Of course, this law puts the TTAB in a position of attempting to determine which trademarks may be offensive to particular groups, forcing them to make highly subjective judgments. The Judges may rely on public opinion surveys and historical data in making such an evaluation. 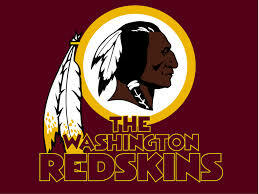 In the Redskins case, the TTAB ruled that “Redskins” was offensive to a significant portion of the Native American community, and therefore the “Redskins” trademarks owned by the football team should be cancelled. What happens next? If the Washington Redskins owner decides to appeal, such an appeal would be heard by the Federal Appeals Court located in Washington, D.C. Another panel of Judges would review the TTAB decision and rule whether it was correct. Either party may appeal that decision to the United States Supreme Court, which may decide to hear the case, or allow the lower court ruling to stand by refusing to hear the case. If the decision is not overturned on appeal, then the Washington Redskins would lose their federal trademark rights. That does not mean that they could not legally continue to use the name “Redskins.” As the TTAB stated in its decision, “this decision concerns only the statutory right to registration. We lack statutory authority to issue rulings concerning the right to use trademarks.” However, without federal registration, the Redskins would have a difficult time legally preventing other companies from infringing on their name by selling their own “Redskins” merchandise. Potential infringers would have a “free ride” on the “Redskins” name as it would no longer be protected under Federal law. The Redskins might at that point choose another name so that they could have exclusive rights to that new name with federal trademark protection. Our firm will continue to monitor this case and provide any assistance to potential trademark owners who wish to register and protect their marks from infringement.